Below is a summary of state park parking fees for parks in all 50 states. This is an update to a summary from 4 years ago. We love our state parks here in Georgia – and we enjoy visiting state parks when we travel. I thought this list might be helpful for others. Information is subject to change, so please check with the individual park you plan to visit, prior to your trip. For some states, the state park parking fees are referred to as daily-use fees or entrance fees. Alabama State Parks – From the Alabama State Parks website – Alabama State Parks offer ideal places to stay: resorts, hotels, cabins and cottages, camping; and fun places to play: hiking, biking, golf, fishing, paddling, swimming, birding and wildlife viewing or just relaxing. Clicking the above link will take you to a list of Alabama’s 22 state parks. I couldn’t find any information about “free days” at any of the Alabama parks, but most have very, very modest daily-use fees, including some parks which charge just $1-$3 for adults and 25 cents – $2 for kids and seniors. Alaska State Parks – Alaska has 119 state parks. While not offering any “free days” most of the parks charge a flat $5 daily-use fee per automobile. A family of 6 could visit a park, spend the day, and do so for just $5. Click the link and you can view daily parking fees – as well as fees for camping and boating. Arizona State Parks – Arizona has 31 state parks, with many parks offering daily-use fees between $5 and $20 per car (up to 4 adults) and between $2 and $5 per individual / bicycle. Also, several parks offer discounts for Veterans and Active Military. Arkansas State Parks – According to the Arkansas State Park FAQs – There is no fee for entry to an Arkansas state park, although tour fees are charged for access to some facilities. A wide variety of activities can be enjoyed at no cost in the parks including hiking, mountain biking, picnicking, launching a boat, and participating in most of the interpretive programs. You can enjoy the museums and their collections (exception is Historic Washington State Park) at no charge. However, a variety of fees are charged in the parks for the rental of facilities such as campsites, cabins, lodge guest rooms; dining; participating in certain activities such as guided horseback rides; specific interpretive programs led by park interpreters; and special events. California State Parks – From the California State Parks website – At most parks, Day Use Fees are charged for parking only. There is no charge to walk or bike into these parks. Most historical parks and museums charge a Day Use Fee per person. The parking fees range from $4 – $20. California has 278 state parks. It’s awesome to see that several are free for daily-use by walkers / bicyclists. Colorado State Parks – Colorado has 42 state parks, with most charging $7-$9 per vehicle fee for daily-use. Connecticut State Parks – From the Connecticut State Parks website – Some facilities do not charge a parking fee and others charge only for weekends and holidays. Connecticut has 76 state parks, and more than 25% of them are available free for daily-use on weekdays. That’s pretty awesome. Most of the parks charge a per vehicle fee of $9 or $15 for weekend use. Delaware State Parks – Inland Delaware State Parks charge daily-use fee of $3 for Delaware Registered Vehicles and $6 per day for Out-Of-State Registered Vehicles. Ocean Delaware State Parks charge daily use-fee of $4 for Delaware Registered Vehicles and $8 per day for Out-Of-State Registered Vehicles. I couldn’t find any information about “free days” – but $3 for a vehicle-full of parents and kids seems like a super-deal to me. Florida State Parks – Fees for vehicles range from $4 to $10 and the fees for individuals range from $2 to $5. Georgia State Parks – Georgia has 64 state parks. The parks charge a flat $5 per vehicle daily-use free. If you have a valid library card in the state of Georgia you can “check out” a park pass, and visit any Georgia State Park – for free! Hawaii State Parks – Hawaii has 53 state parks – and not one of them (that I could find) charges a daily-use fee! That, my friends, is very, very awesome. Hawaii State Parks are some of the most beautiful parks in the world – and they’re free to visit. Idaho State Parks – Those who travel in vehicles will be charged a $5 parking fee per vehicle fee. Illinois State Parks – From the Illinois State Parks website – The Illinois Department of Natural Resources does not charge an Entrance Fee to any state owned or operated land with the exception of Wildlife Prairie Park and sites with beaches. Beaches charge a $1 a day per person for beach use only. It took a little searching on the website, but there it is. Illinois has 60 state parks, and besides one and those with beaches, they’re all free for daily-use. Indiana State Parks – Indiana has 26 state parks, and most charge a daily-use fee of $5 per automobile (for in-state visitors) and $7 per automobile (for out-of-state visitors). Iowa State Parks – Iowa has 68 state parks – and all of them are free for daily-use. Awesome! Kansas State Parks – Kansas charges $5 per vehicle, for parking. Seniors can receive discounted fees. Kansas has 24 state parks. Kentucky State Parks – From the Kentucky State Parks website – We charge no general admission fee. Awesome! Save your money and visit one of Kentucky’s 52 state parks – for free! Louisiana State Parks – Louisiana has 20 state parks, and most charge just $2 per person for entrance. Maine State Parks – Maine charges between $2 to $4.50 per adult (12 and over) and $1 for children ages 5 – 11 for daily-use of most state parks. These are in-state resident fees. Out-of-state residents are charged a slightly rate at each park. Maine has 39 state parks. Massachusetts State Parks – Most Massachusetts parks charge a parking fee. Click the link to view fees, by park. Again, I would love to be more specific, but the information isn’t located one one specific page. Good news – If you have a Massachusetts library card, you can borrow a parking pass – and visit a state park for free! Michigan State Parks – Michigan has 98 state parks – and has a unique pay setup. Basically, residents pay $11 for a yearly parking-pass for all state parks – and non-residents can buy the same pass for $31 – or pay $9 per vehicle for a single, day-pass. Passes can be purchased online, at the various parks, or when purchasing a Michigan license plate. Minnesota State Parks – Minnesota has 74 state parks and they each charge $5 per vehicle for daily-use. I did not find any information about walk-ups – but the Minnesota website is super-easy to use, and very user-friendly! Mississippi State Parks – Mississippi has 24 state parks and they each charge $3 per vehicle (with up to 6 passengers) for daily-use. Missouri State Parks – From the Missouri State Parks website – The Missouri state park system does not charge entrance fees. However, there are fees associated with camping, lodging, tours, museums and certain special events. That’s 83 state parks to visit – with no charge for daily-use! Montana State Parks – Residents of Montana can pay $5 when they purchase a Montana license plate and their entrance into any of Montana’s 54 state parks is absolutely free. Those choosing not to pay the $4 (when purchasing their license plates) – and out-of-state residents – pay $5 per vehicle at most state parks. Nebraska State Parks – Nebraska charges a flat $5 per person fee for daily-use of its state parks. Nebraska has 18 state parks. Nevada State Parks – From the Nevada State Parks website – Permits are purchased upon entry to individual parks at a standard entrance fee of $7 to $12 per day with a $2.00 discount to Nevada residents. These permits vary by park and cover the basic entrance to a park. Nevada has 23 state parks. New Hampshire State Parks – New Hampshire has 75 state parks. Daily-use fee for adults is $4 and $2 for kids 6-11. Kids under 6 and Senior Adults are free. New Jersey State Parks – New Jersey has 50 state parks. Each park has its own fee schedule, depending on the time of year and / or the day of the week. Some parks are free for certain times of the year, while most charge between $5 and $20 per vehicle. New Mexico State Parks – New Mexico charges $5 per vehicle for daily-use and is free for walk-ins / bicyclists. New Mexico has 35 state parks – some of the most beautiful in the country. New York State Parks – New York has 178 state parks. Most charge between $6 and $10 per vehicle for daily-use. North Carolina State Parks – From the North Carolina State Parks website – Only three parks (Falls Lake, Jordan Lake and Kerr Lake) have entrance gate fees. Entrance fees at those parks are charged to supplement operational costs and help maintain and improve the areas for visitors. That means that 37 of North Carolina’s 40 parks are free for daily-use. North Dakota State Parks – North Dakota has 15 state parks and each park charges a $5 parking fee per vehicle. They also offer a library loan program for in-state residents in certain cities. Awesome. Ohio State Parks – 74 state parks – all free for daily-use, with no charge for parking! So cool. Oklahoma State Parks – From the Oklahoma State Parks FAQs – Oklahoma State Parks do not charge an entrance fee but there are four parks in the system that have day use fee areas. Natural Falls State Park near West Siloam Springs and the Cisco Road Area at Lake Murray State Park near Ardmore each charge a day use fee of $4.00. The Fisherman’s Point Area at Tenkiller State Park in Vian and the Little Axe Area at Lake Thunderbird State Park in Norman each charge a day use fee of $5.00. This fee is charged per vehicle (carrying up to six passengers). Oregon State Parks – Oregon has 192 state parks and most are free for daily-use. Those few that do charge a $5 fee per vehicle basis. Pennsylvania State Parks – Pennsylvania has 120 state parks and they do not charge a daily-use or parking fee! Rhode Island State Parks – Rhode Island has 22 state parks. There are fees listed on the website for various parks, but I couldn’t find anything specific about parking or daily-use. South Carolina State Parks – South Carolina has several state parks – and the parking fees appear to vary greatly, park-to-park. You will have to click the link and find the park you are interested in visiting. South Dakota State Parks – South Dakota charges a daily-use fee of $4 per person / $6 per vehicle. 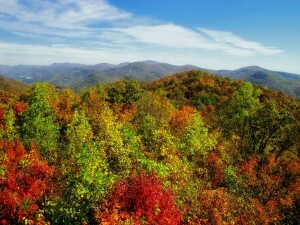 Tennessee State Parks – From the Tennessee State Parks website – There is no access fee charged for any state park. There you have it. All 53 of Tennessee’s state parks are free for daily-use! Texas State Parks – Texas has 133 state parks, some of which are free for daily-use. Others charge a fee. Utah State Parks – Utah has 43 state parks. They charge between $7 and $10 for daily use – with discounts for Seniors. Vermont State Parks – Vermont has 55 state parks. Fees are $3 for and $2 for kids ages 13 – 4. Kids 3 and under are free. Virginia State Parks – Virginia charges $3 to $5 per vehicle for daily-use of its state parks, depending on the day of the week. Virginia has 35 state parks. Washington State Parks – Washington has 141 state parks. There is a $10 fee for daily use of each park. West Virginia State Parks – From the West Virginia State Park website – There is no admission fee to enter areas operated by the state. Visit every chance you get. Thank you for your patronage. Great job, West Virginia! 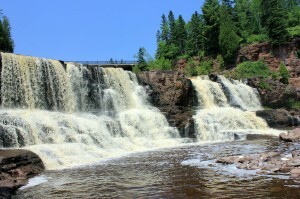 Wisconsin State Parks – Wisconsin has 66 state parks. The daily-use fees are $7 per in-state vehicle, $3 for in-state seniors, and $10 for out-of-state visitors. Wyoming State Parks – Wyoming charges residents $4 and non-residents $6 for daily-use of its regular parks, $2 less for historic parks. There were several states that offered discounts for seniors, members of the military, and children. Check with the state you live in or are visiting to see if you qualify. Also, some states had conflicting, or poorly organized, information. Hit me up via @NCN with any corrections or additions. Almost every state offers an annual pass to its state parks. Depending on the number of times you visit your state parks and the fees they charge, the annual pass might just be a great deal. Also, many states have special rates for motorcycles, buses, and large groups. The information in this post is a summary of my findings. All information is subject to change at any time and for any reason. I am not affiliated with any of the institutions linked in this post. Before planning a trip to any state park, do your own research and find out the exact nature of any fees you may incur. This list took a long time to put together. If you find this list to be interesting, please consider sharing it with others via the links below. Be blessed.